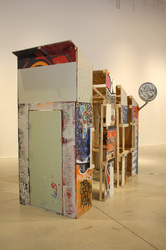 I Was Here - Fragmented, 2012. 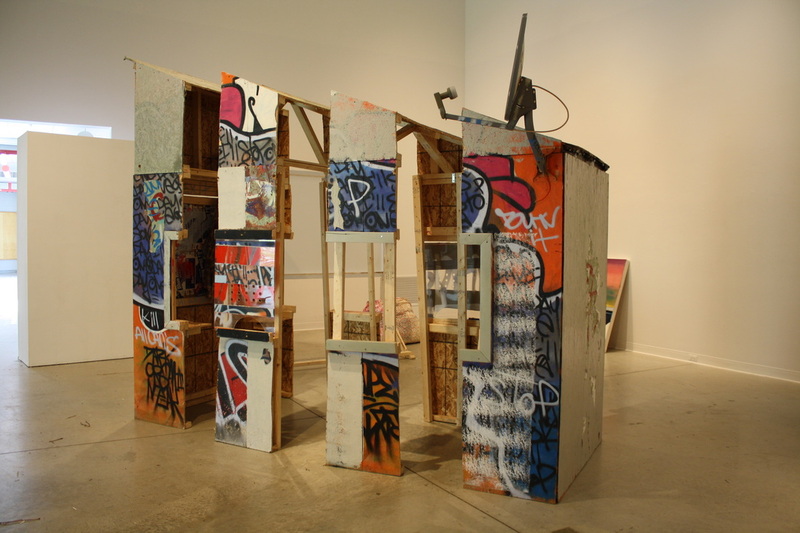 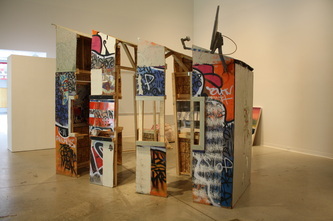 Plywood Structure with Discarded and Abandoned Objects. 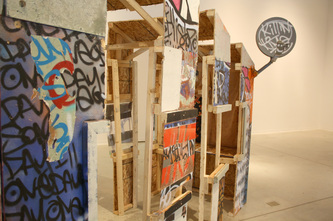 Once considering relocating the I Was Here booth into a gallery situation it seemed appropriate to cut the piece into slivers and capture the aesthetic tension between graffiti and buffing. 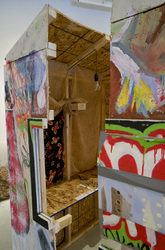 More so, cutting the piece signified the completion and demise of the booth and its presence within the public sphere.